BAGUIO CITY – Mayor Mauricio G. Domogan revealed that the local government has not yet officially received from the Philippine National Police (PNP) the desired shortlist from where the successor of the incumbent City Director of the Baguio City Police Office (BCPO) will be chosen by the Local Screening Committee that will be convened to screen the applicants based on an established criteria. 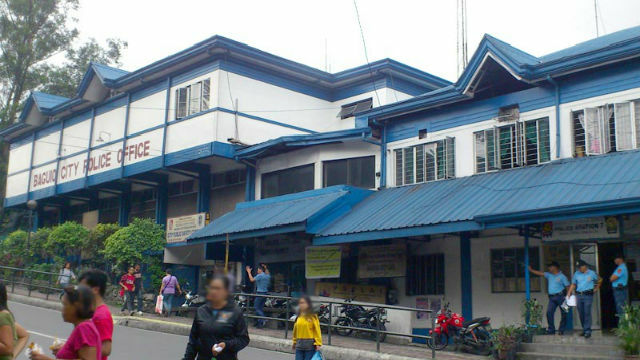 The local chief executive explained that upon receipt of the shortlist that will be transmitted to him by the PNP, the Local Screening Committee will be convened to assess the qualifications of the police officers who will be in the shortlist and conduct the required interviews of the applicants for City Director prior to the release of the selected successor of the current BCPO chief. “We will wait for the shortlist of the qualified senior officers to be transmitted to us before we will act on the matter. What we want from the PNP leadership is that for the immediate submission of the shortlist of their screened qualified police officers to allow us to conduct our own screening process before we will recommend the name of the one that will be selected for the position,” Domogan stressed. He explained that after the shortlist shall have been screened by the Senior Officers Placement Board (SOPB) in Camp Crame, the shortlist will be forwarded to the National Police Commission (NAPOLCOM) for the issuance of the needed resolution prior to its transmittal to the Police Regional Office (PRO) in the Cordillera for eventual endorsement to the local chief executive for the election of the next BCPO chief. According to him, the PNP leadership assured him that the incumbent BCPO City Director will not be unceremoniously relieved from his post until the lapse of his supposed 2-year tour of duty and until such time that the shortlist shall have been submitted to him as well as the completion of the local screening process shall have been completed. He emphasized that the local government and the PNP should be partners in the implementation of anti-criminality, anti-insurgency, anti-terrorism and peacekeeping initiatives because the people will always put the blame on the local officials on whatever the state of the peace and order situation in a certain locality will be, thus, the need for close coordination and collaboration between the two government agencies. Among the criteria imposed by the local government in the screening of the qualified applicants for BCPO chief include availability, performance in previous assignments, innovations and the implementation of programs and projects geared towards improving the state of the peace and order in the city. The Local Screening Committee that will be organized primarily for the purpose of screening the qualified senior police officers in the shortlist will be composed of various department heads of the local government and representatives from the business sector, the youth, barangays, the religious sector and the media.